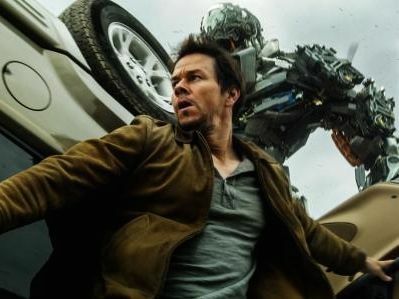 Michael Bay's Transformers: Age of Extinction, starring Mark Wahlberg, opened on Thursday night to the tune of $8.8 million in previews and it's now being reported that it has grossed an estimated $41.6 million its opening Friday (including those previews). UPDATE: "Age of Extinction" grossed $52 million internationally in 36 markets on Friday, bringing its international total to $80 million after three days. China brought in a record-breaking $30 million in a single day in its regular and IMAX theaters, the latter 148 screens making up 24% of the total IMAX screens globally. As far as the two bigger openings, Captain America and Godzilla, they both made more in Thursday previews earlier in the year but ended up with less opening day than "Age of Extinction." They also both opened when many schools were still in session limiting the amount either could make on Friday, something that "Age of Extinction" doesn't have to worry about. Opening later in the summer means that much of the younger audience interested in seeing the movie could easily go on Friday rather than waiting for the weekend, which ultimately could mean heavy frontloading. It's hard to make comparisons to the previous three "Transformers" movies which all opened earlier in the week rather than on Friday. For instance, Bay's original Transformers opened the evening on Monday, July 2, 2007–possibly one of the earliest movies to start the pre-opening day preview trend–and when you add that to its official opening Tuesday, that's $36.6 million. Wednesday, the 4th of July, actually had a bump from the previous day when you remove the preview night gross. The sequel "Revenge of the Fallen" grossed $62 million on its opening Wednesday two years later and $127 million in its first three days, and it became the highest grossing of the series at least domestically with over $400 million. It doubled that amount when including overseas money. Both previous "Transformers" movies only made slightly twice as much in three days as their opening day, and using that ratio, "Age of Extinction" could bring in as little as $85 million its opening weekend. Unlike those movies, the fourth "Transformers" has the benefit of having a Saturday as its second day. "Dark of the Moon" dropped 42% and "Revenge of the Fallen" dropped more than 50% in their respective second days and we don't expect that happening here. So that's where we're at right now. While "Age of Extinction" had a very strong opening, going by the frontloading of its predecessors and equally bad reviews as "Dark of the Moon"–"Extinction" received a terrible 18% Fresh on Rotten Tomatoes compared to "Dark of the Moon's" 19%–we wouldn't be too surprised if the latest "Transformers" is just as frontloaded and ends up with $95 million or less over the weekend based on that opening day estimate.